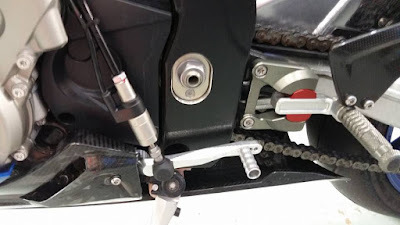 Hi, this is our new latest upgrading project for BMW HP4. HP4 comes with Gilles Tooling rear set on normal shift mode only. To convert it into reverse shifter/GP shift. Gilles Tooling is selling separate reverse shifter/GP shift kit. What you need is just the Gilles Tooling reverse shifter kit. Some modification is needed on the stock belly-pan. To enhance the full look of your HP4, replacing the stock rear mudguard and chain cover into Fullsix Carbon will make your HP4 looks better. 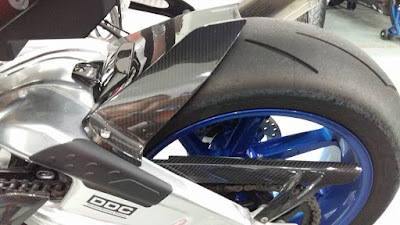 You may have complete carbon fiber parts for your HP4.